My Friendship with Jessica Wolstenholm was forged through our individual journeys to complete our families. Her struggle included infertility and multiple miscarriages, mine was a roller coaster adoption process. As her friend and OB/GYN, once she did conceive, I was a quick phone call away when the anxieties of pregnancy would pop up. Shortly after she delivered, she approached me with the idea of writing a faith based guide to pregnancy: she would write as the patient, I would write as the doctor. It took me a while to warm up to the idea, but Jessica can be very convincing. Eventually I agreed to go along with writing a proposal, not really thinking anything would ever come of it. 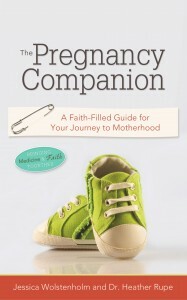 However, the awesome folks at Leafwood Publishing believed in our vision and published The Pregnancy Companion in February of 2011. 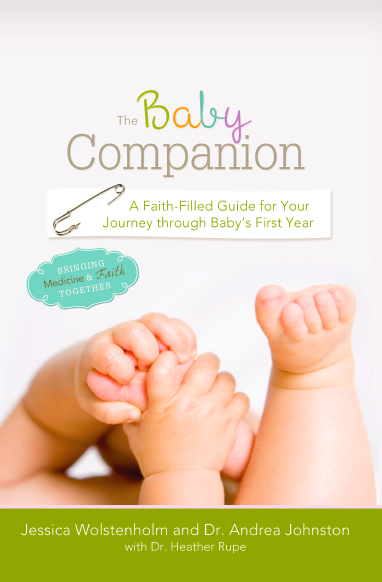 The feedback we got from our readers was so encouraging, that in April of 2013 we released The Baby Companion, with guidance for baby’s first year of life. Both books provide the medical facts in an easy to understand fashion, but also give biblical truths and devotionals to help women walk through the pregnancy and the newborn years as peacefully as possible. I am also a contributing author of the book The Everything Guide to Pregnancy Nutrition and Health. When I was pregnant with each of my children I devoured just about every thing I could get my hands on to help me understand better what I was experiencing and what I could expect with each passing milestone. In all of my researching and reading, I never came across anything quite like The Pregnancy Companion. Jessica Wolstenholm and Dr. Heather Rupe have provided an incredibly informational and inspirational companion for women who are walking through the hard-to-describe realities of pregnancy. Weaving the facets of the whole person – mind, spirit, and body – they have created a resource that really has it all. I am thrilled that this resource is available for women today and I can’t wait to give this book to women who are entering this journey themselves! – Shelley Hendrix, Founder of church4chicks.com and host of Atlanta Live!